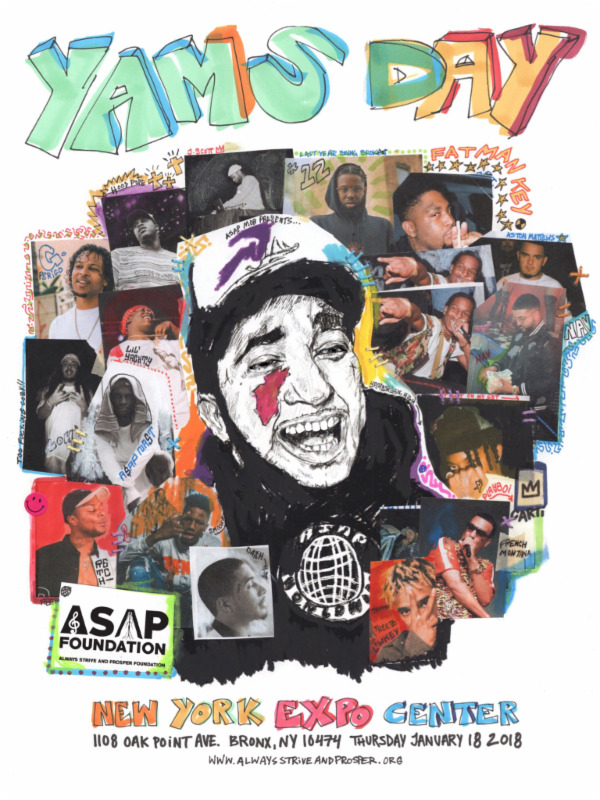 Following his passing in 2015, the A$AP Mob have thrown the annual Yams Day concerts on his birthday (January 18th) to celebrate the life and times of their fallen member. Now in its third year, the Mob will descend upon the Bronx for the 2018 installment. Taking place at the New York Expo Center, the A$AP Mob will be joined by Lil Yachty, NAV, G Perico, Aston Matthews, RetcH and Dash. The Cozy Boys and Top Dawg Entertainment’s MixedByAli will provide deejay sets throughout the show. Tickets for Yams Day 2018 are available now.